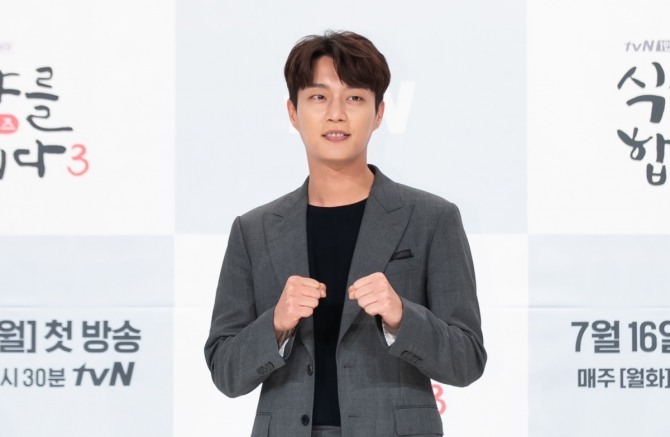 Yoon Doo-joon is having the most fun, shooting the third installment of the popular “Let’s Eat” series. “Let’s Eat 3: Begins,” a Monday-Tuesday series, will air soon on tvN, with Yoon taking the lead role like it has been for the two previous seasons. He features as a foodie. The character explains a dish’s recipe and history with passion before eating. The third season of the show goes back to 2004, back to the character’s life as a freshman. The story is set on explaining how the character falls in love with foods. “Let’s Eat 3: Begins” will start airing on Monday at 9:30 p.m.